No one wants to end up wearing dentures as they get older. While many people assume that they will never need dentures or prosthetic dentistry because they take such good care of their teeth, and that dentures are relatively uncommon, more people have dentures than you might think. 60% of respondents in a recent Prevention.com survey said that they don’t expect to need dentures because of the care they take of their teeth. However, it turns out that 20 million women over the age of 40 wear dentures currently, and the number of American adults who need dentures is projected to increase from 33.6 million in 1991 to roughly 37.9 million people by 2020. If you experience some of these 8 warning signs, dentures may be in your future as well. There are two different kinds of dentures to help replace your missing teeth. For more information visit your Catonsville Dental Care Dentist! 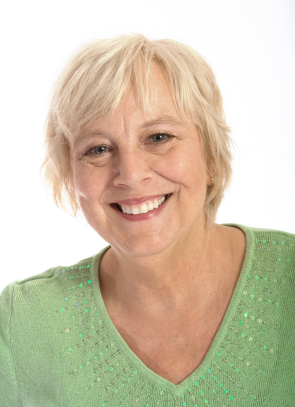 Which is Better: Dentures versus Dental Implants? Choosing between dentures and dental implants can be confusing. But maybe this will help you decide. 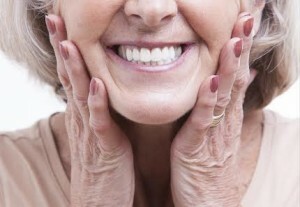 Proper denture care will ensure that your dentures keep doing their job for longer. 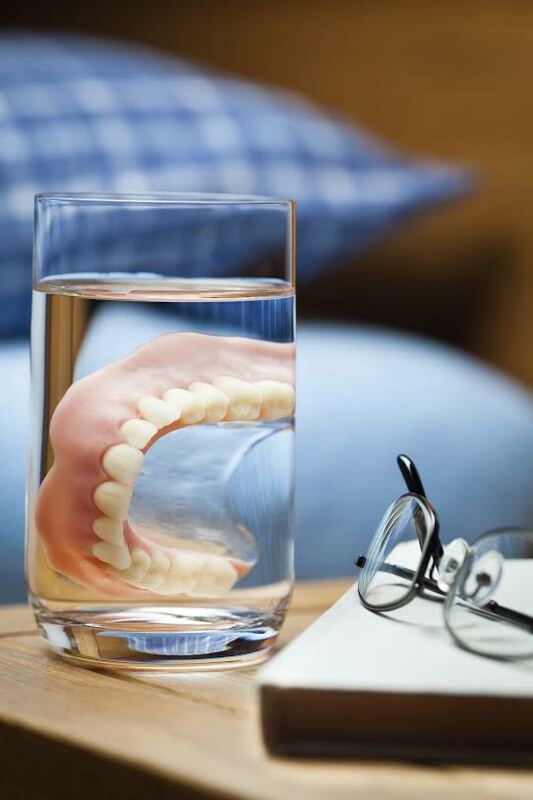 To get the most out of your dentures, our team here at Leikin and Baylin Dental Care has put together a list of tips to maintain the health of your dentures and mouth. Remember: oral hygiene is important! Remove and rinse dentures after eating: you can simply run water over them to remove food debris and other loose particles. You might also want to make sure your dentures have a soft place to land if you drop it by accident – fill the sink with water or put a towel on a hard surface for added protection. Brush your teeth: even though your dentures are there to replace or protect your natural teeth, you still want to practice good oral hygiene. Use a soft-bristled toothbrush on natural teeth and gauze or a soft toothbrush to clean your tongue, cheeks, and roof of your mouth. You should also brush your dentures at least once a day. You can soak them or brush them with a nonabrasive denture cleanser to remove food, plaque, and other deposits. If you do use adhesive, make sure to clean the grooves that fit against your gums to remove anything that remains. Remember: denture cleansers are meant to be used externally and not in your mouth! Most dentures will require an overnight soaking to remain moist and keep their shape. You can put the dentures in water or in a mild solution, but for best results, check with your Catonsville dentist to find the right solution for you. Before you put the dentures back in your mouth, be sure to rinse them first! Schedule regular dental checkups: your Catonsville dentist can give you more details on how often you should be visiting the office to have your dentures examined and professionally cleaned, as well as ensure that your mouth remains healthy. If you experience any irritation or your dentures become loose, please call us right away so you can avoid further irritation, sores, or infection. If you have questions about dentures, or it’s just been a while since you’ve had a cleaning or talked to your dentist, it’s time to make an appointment. You can contact Leikin & Baylin Dental Care of Catonsville, Maryland by calling 410-747-1115 or visiting CatonsvilleDentalCare.com. Sometimes teeth can’t be repaired. As we get older, plaque and bacteria find ways to eat away at our teeth and gums. Dentures become the only option for some people; they aren’t a bad option, though. They can actually give you a better smile than your natural and they aren’t capable of decaying or breaking down over time. It’s also quite possible that you’ll only have to get a partial denture set rather than a full set, depending on your needs. 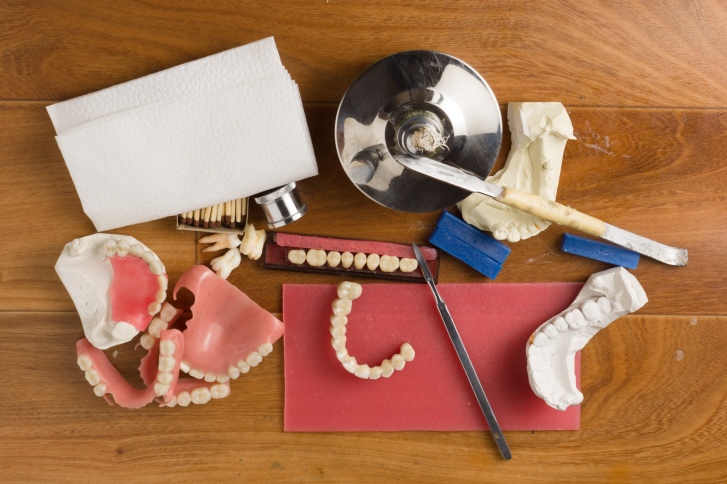 Full Set – When you receive a full set of dentures, all of your teeth have to be removed. There is a healing period of about 3 months after your teeth are pulled and when you get your permanent or “conventional” dentures. In the meantime, you’ll get a set of immediate dentures that you can use to eat and talk normally. Your teeth and gums will shrink considerably between the time that you get your teeth pulled and when you’re fitted for your permanent dentures. Partial Set – Partial sets are sometimes referred to as bridges, since they bridge gaps in your teeth. Your partial set allows you to keep some of your teeth, but helps replace any teeth that aren’t healthy enough to be fixed. They also help you to avoid any infections or problems from setting in to your still healthy teeth that are next to them. When unhealthy teeth are next to healthy teeth, it can actually cause serious problems. Partial sets make it easier to eat and speak normally and promote oral health. How Are You Fitted for Dentures? First, your dentist will take a mold of your natural teeth and gums to make sure that your dentures will fit comfortably once you’re ready to wear them. Molds can be a little uncomfortable, but it’s better to know for certain that your dentures are going to fit well in your mouth. Your teeth will be extracted once the mold is taken. Make sure that you follow all of the directions given by your dentist after the extraction so that you can remain comfortable and pain free during the healing process. You’ll talk to your dentist about the shade, size, and shape of teeth that you want so you can be comfortable with your new teeth for an extended period of time. Finally, you’ll go through a fitting process. Chances are that when your initial set comes in, there will need to be a little bit of adjustment. Your dentist can shave certain parts down and make your set of dentures more comfortable for you. You’ll likely need future adjustments as your mouth changes, but a set of dentures can last you up to 10 years if you take very good care of them. Your dentures are an investment in your future. Make sure that you only trust them to the best. When you’re ready to start on the journey to dentures, please contact Leikin & Baylin Dental Care of Catonsville, Maryland by calling 410-747-1115 or visiting CatonsvilleDentalCare.com. Disclaimer: The writer of this article is not a medical professional. Information contained herein has been collected from sources believed to be reliable, and every precaution has been taken to ensure its accuracy. The information provided here is for general informational purposes only, and should not be used as a substitute for professional medical care.